Doncaster Rovers have signed winger Gary McSheffrey on loan from Scunthorpe United until the end of the season. McSheffrey has scored 15 goals in 91 appearances for the Iron in all competitions since signing for the League One side in January 2014. 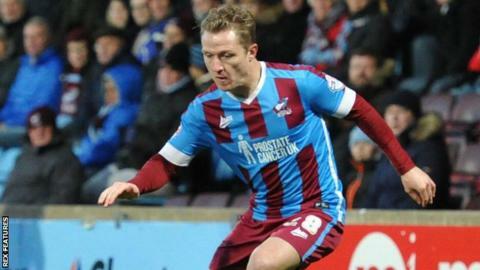 The 33-year-old has featured in 28 games this season, but is out of contract at Glanford Park in summer. Doncaster are currently 21st in the League One table, one point adrift of safety with nine matches to play.